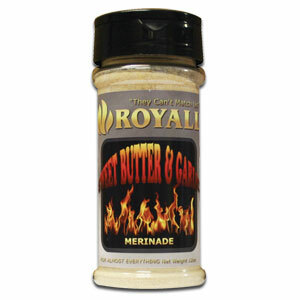 Royall Sweet Butter and Garlic Marinade adds a new flavorful dimension to your cooking. If you are looking for some serious flavor, our sweet butter and garlic seasoning is what you want. You can use this on just about anything! It's perfect for ribs, chicken, pork, beef, fish, wild game, vegetables and pasta. 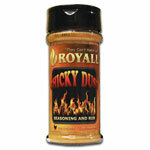 Go ahead and give it a try. 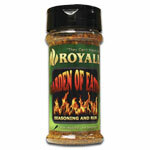 • "A rich, sweet butter and garlic seasoning, with no limits"